Judge a book by its cover: we all do it. After Ben from Dead End Follies posted about the French edition of 1Q84 and how it's "one of the ugliest pieces of lazy design" we started to discuss cover design on Twitter and the differences between, what Ben called, the "eccentric" US covers and what I believed to the the more "artistic" UK covers. It got me thinking whether or not UK covers were actually more aesthetically pleasing than the US covers, or if we just want what we don't have. I decided to do a little comparison of US and UK cover art, choosing five new releases that each had a distinctly different cover design and were selected from the article in which the The Millions detailed their most anticipated books for the second half of the year, with a focus of those released in September and October, to help me decide if the UK are really better or if I just want what I can't have. 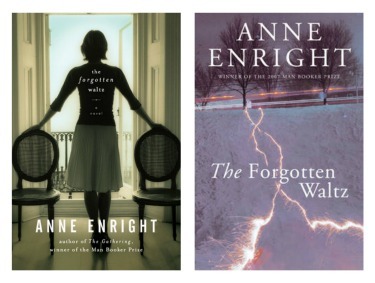 The US editions will be pictured on the left, UK editions on the right. This little experiment is just for fun and is by no means something I consider to be a grand comparison of book covers. It's only five books, people. With that being said, let's get to it. Verdict: I typically veer away from cover art that features photographs of sorts. There is something about it that makes it feel mass-market. I've always preferred more artistic cover art; that of the painting and drawing variety. So, for my sheer prejudice against covers with photographs, I learn more toward the UK cover art. I also identify more with the feeling the UK edition evokes with its errie full moon and dark tree branches, than I do with a young girl staring at me through a set of numbers and letters. Verdict: I should confess that I own the US edition of this book, so I may be partial, but I prefer the UK edition (thereby perhaps proving we want what we don't have). I like that the UK edition is three dimentional and it focuses more on the school aspect of the book rather than the subject of baseball. Of course, this makes sense becuse the UK doesn't have baseball, so there is no reason to market toward baseball fans, but as a woman who doesn't follow much baseball much, I do prefer the emphasis of the chalk board, portraying a university feel. With that being said, I do know this book was mainly marketed toward men, so I may be the odd woman out on this one. One point to the UK. Verdict: At first glance, I am more drawn to the US edition pictured on the left than I am with the landscape the UK edition features, which reminds me of a trade paperback from the 80's. The US edition makes me wonder why those two chairs are empty and what exactly this woman is looking at through the window. Overall, it interests me more. One point to the US. Verdict: First I'd like to mention what an interesting title this one has. If I just saw the spine of this book shelved somewhere and read the title, I'd pick it up to read more. With that said, I prefer the UK cover art to the US. The US cover art doesn't really catch my eye and if it did, I would pass it by for something else. The UK edition is a little more upbeat and draws me in more than the first. Verdict: Not suprisingly at this point, I've got to lean toward the UK edition. I like the block letters that are centered on the cover and the image of a man in a button down cardigan holding someones hand. Though the US cover is intriguing, I would opt for the UK edition if I had the choice. Those Brits can rock a cover design. The only one I disagree with you about is the Murakami cover. It's not that I love the US cover, but I really dislike the UK cover. Overall though, I generally prefer UK covers! Lola, I don't love the US Murakami cover, but it is better than some of the other US covers I featured. Rambo, Yes we TOTALLY win on Harry Potter! Good point! That UK Edition of The Art Of Fielding is a beaut. I like the retro-baseball feeling of it. I find the US version of 1Q84 better though. More eye-appealing. 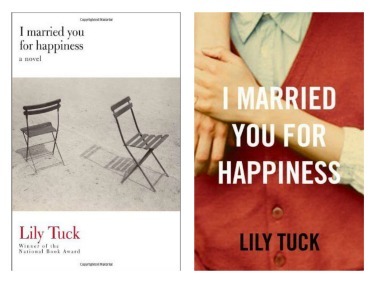 The US version of I Married You For happiness looks like a French book cover. Which is a bad thing! Ben, It would be interesting to do US vs. French! I'm with you on every single one of them. I especially like the Fielding UK cover more. Isn't it funny how covers can make such a huge difference in our perception of the book. This is such a great post. I always try to find multiple covers of each book I review, because I think it is easy to skip over a book with a cover you hate. Yeah, I think I'll have to agree with you on most of these as well. Although, I really like the US version of The Art of Fielding. I was just thinking about the same topic the other day when I received a copy of The Night Circus. I loved the silhouettes of the two magicians-- SO much prettier than the US copy! Love this post! 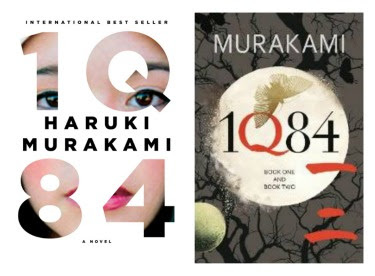 I actually like the US cover for 1Q84 better than the UK one, but other wise I'm with you on your preferences. Especially The Forgotten Waltz. That UK cover is really awful. I think I prefer the UK cover in all 5 cases, but I can't decide if that is because I'm more familiar with them. It is interesting to see the covers as they give very different impressions of their content. I agree with you, I prefer the UK covers. I am French yet I believe the French covers lack something and haven't changed much over the years. I find them bland. Now I haven't looked up 1Q84 in French yet. I'll see if I can make a compilation of US vs French covers. Fun comparison. I like both Art of Fielding covers, although I think the US cover represents the content and writing better. I typically do like UK covers better--generally more artistic and less photo/flashy. Hi Brenna, back from my travels and trying to catch up with all my favourite bloggers. The UK covers are certainly better but why do we need different covers anyway? I really like the Fielding UK cover! It feels like old baseball photos. I Married You for Happiness - Gotta go with the US cover. I hate headless photos...will be glad when that finally goes out of style. 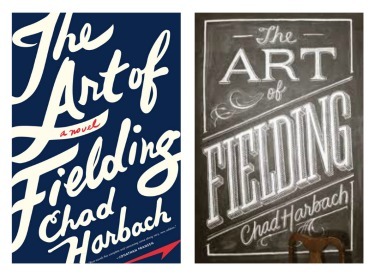 I'm having a hard time choosing btw the two Art of Fielding covers. 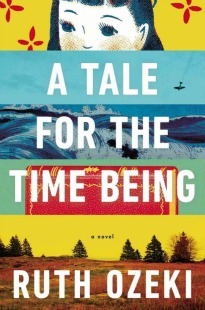 But for me, with Murakami's book, there's no question: I much prefer the first one. Oooh, love this. Another good one would be The Night Circus. The US cover is nice but not nice enough to convince me to buy it when I already had an ARC. The UK cover, however, convinced me not only to buy a copy but also to have it shipped across an ocean. Yeah we do good cover designs APART from Freedom. The UK version of Freedom looks like a student messed about with powerpoint for about 5 mins. And if that wasnt bad enough, the paperback version is even worse than the hardcover. 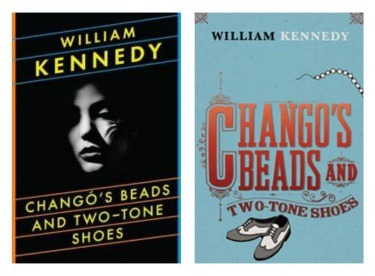 I generally like the US book covers more - not so much for most of these actually - but many others certainly. I do occasionally fork out the extra quid to get a nice, US edition. I prefer the American 1Q84. One thing - so much more work, thought and appreciation has gone into it. The flimsy paper cover over the high quality images below - which I thought to be much more artistic and iconic then the UK covers. I do agree about the use of photographs on most other books because it's just a lazy way around it. However I think in this case it's a lot different. The US versions of all other Murakami books are a lot better then the dull black and white UK editions. It feels someone has actually thought out what's going to go on the cover, rather then pick one or two obvious images (such as a cat or a sheep for example) and stuck them on the cover. Also, US books are so much better quality. I know my American paperback of the Wind-up Bird chronicle will not have any creases on the spine at all. The corners might get slightly frayed but no more then the UK edition.